Anxiety is a prolific condition that stems from the body’s natural stress response. It’s defined by feelings of fear, unease, and overstimulation. Being nervous from time to time is completely normal, but when these feelings linger and become a day to day occurrence, it’s easy to see how anxiety can impact a person's quality of life. 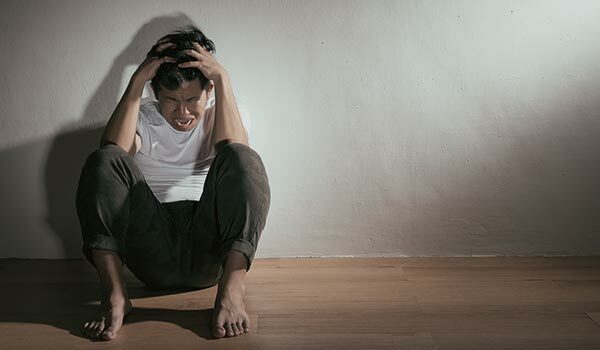 There are numerous different forms of anxiety, such as social anxiety, which is defined by extreme fear of judgement in social situations; panic disorder, which features reoccurring and unexpected panic attacks; post-traumatic stress disorder (PTSD), which is a form of anxiety that follows a traumatic event(s). Most forms of anxiety cause symptoms such as increased heart rate, trouble concentrating, and restlessness. The exact cause of anxiety disorders isn’t yet fully understood, however, genetics, environmental factors, and neurochemistry and believed to be involved. There are several means of treating anxiety, including medications like SSRIs and benzodiazepines, as well as meditation and lifestyle changes such as a healthy diet and adequate sleep. Some people experiencing anxiety have also seen great success using cannabis, with anxiety being one of the most common conditions people choose to treat with the herb. Cannabis has been proven to reduce the symptoms of some kinds of anxiety, however, in other people, the effects of the plant can amplify and even trigger symptoms of the condition. Using cannabis for anxiety relief is certainly an area of nuance. Both of the major cannabinoids within cannabis, THC and CBD, are associated with reducing anxiety when administered at low doses. However, when THC is administered in higher quantities, it starts to catalyse feelings of anxiety and paranoia in some users. Other chemicals within the plant known as terpenes also play a role in the effects ultimately experienced from the herb. Cannabis breeders are putting in the work to produce strains with an ideal chemical makeup to help treat the symptoms of anxiety, without worsening the condition. Here are 4 cannabis strains that can help to ease the symptoms of anxiety. Power Kush is an indica-dominant variety that produces a deeply stoning effect that soothes the body and lifts feelings of tension and anxiety. Firing up a bowl of this strain at the end of a long day is enough to bring stress levels down to a minimum and give users a break from over-thinking, fear of judgement, and overstimulation. Power Kush was forged using high-quality and powerful parent strains Critical and OG Kush. This breeding project produced a cannabinoid profile featuring THC levels of 20%. The high comes on fast, and it only takes a few tokes to start feeling a heavy yet comforting sensation sweep over the body. Due to the potency of this strain, it’s best not to overdo things when looking to tackle the symptoms of anxiety. Take things one toke at a time until you’re feeling satisfied. These buds are also rich in terpenes that provide desirable tastes of sweetness, sour, and spice. Power Kush grows to easily manageable heights and produces large yields. She’s a good option for growers looking to cultivate a large personal stash of anxiety-tackling weed. Indoor plants grow to heights of between 60–90cm, fitting easily in small spaces. They put out yields of between 475–525g/m² after a flowering time of approximately 50 days. Plants grown outdoors reach taller heights between 120–160cm and put out bountiful yields of 500–600g/plant. OG Bubble Gumis a strain for those seeking serious flavour alongside therapeutic effects. Another indica-dominant variety, OG Bubble Gum is the result of crossbreeding legendary parent strains Bubble Gum and OG Kush. These two hybrid strains are known for their medicinal value, especially when it comes to defusing stress. Combining the two together was sure to produce a strain capable of temporarily banishing anxiety. The indica high is pacifying and casts a state of stillness and tranquility over the mind. She makes a great smoke in conjunction with other anxiety therapies such as meditation and yoga, plunging the user into the present moment and allowing their unease to melt away. OG Bubble Gum also inherited some serious flavour notes from her parent strains in the form of berries, lemon, sweetness, and bubblegum. With THC levels of 19%, care should be taken to hit the anti-anxiety sweetspot and not overshoot. OG Bubble Gum produces impressive yields of large and long flowers, regardless of environment. Plants grow to medium heights, and growers can implement techniques such as low stress training to obtain larger yields within smaller spaces. Indoor plants grow to between 100–130cm, producing yields of up to 600g/m². Plants cultivated outdoors within the elements grow to taller heights of 150–200cm and produce up to 650g/plant. Northern Lights genetics hold a well deserved celebrity status within the cannabis world, stemming from a pure indica strain known for her high resin production, rapid flowering times, and hardy genetics. These traits are thanks to Afghan and Thai landrace ancestors. The goal with Northern Lights XL was to take these high-quality genetics and boost yields using Northern Lights and Afghan. This combination was a huge success in terms of yield and effect—a pleasant indica high is swiftly ushered in upon the first couple tokes, fuelled by a THC content of 19%. This strain is ideal for those looking to obtain a long and restful night’s sleep, another factor that helps to reduce anxiety. These flowers emit scents and flavours of sweetness and citrus, making Northern Lights XL a good addition to edibles, although the potency of an edible high should be avoided by novices looking to tackle anxiety. Northern Lights XL grows to tall heights for an indica strain, peaking at 150cm indoors whilst producing significant yields of between 600–750g/m² after a flowering time of 60 days. Plants grown outdoors within garden beds or pots soar to heights of up to 230cm and produce harvests of 550–650g/plant. Jack The Ripper Autoblooms in a rapid time frame and is ideal for home growers seeking an anti-anxiety stash of flowers as soon as possible. This sativa-dominant lady was crafted in the grow room by combining parent strain Jack Herer with a ruderalis variety. Her compact and bright green flowers house THC levels of 17%, fuelling a cerebral and energetic high that can be enjoyed throughout the day to fight anxiety yet stay productive and functional. She can be inhaled before work or a social gathering to take the edge off sensations of nervousness and self-consciousness. Just be mindful of your dosage. These therapeutic flowers offer contrasting tastes of bitterness, sweetness, and sour. Jack The Ripper Auto is easy to grow and offers large room for error. She grows to small heights both indoors and outdoors, but produces comparatively fruitful yields. Indoor plants grow to heights of between 60–90cm, producing yields of up to 350g/m². Outdoor plants grow to slightly taller heights of 90cm and put out yields of up to 130g/plant. These buds will be ready for trimming in as little as 60 days post-germination.